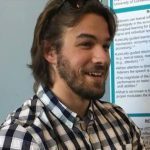 Congratulations to Nicholas Monto, who has been selected as a recipient of 2018-2019 Raymond H. Stetson Scholarship in Phonetics and Speech Science, awarded by the Acoustical Society of America. 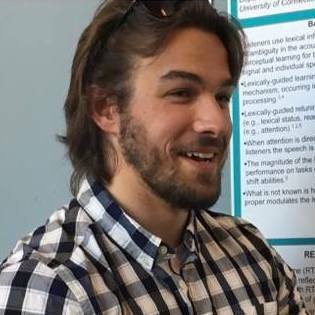 Nick’s project uses a distributional learning paradigm to examine the time-course of adaptation to talker-specific phonetic variation (Aim 1) and to identify factors that contribute to individual differences in perceptual learning for speech (Aim 2). The data generated from these studies will contribute towards improved computational models of dynamic adaptation in speech perception and will help identify potential loci of language impairment. Nick is a member of the UConn SLaP Lab, directed by Dr. Rachel M. Theodore. Congratulations, Nick!